Business Documents: The 10 Important Legal Documents Your Business Should Have - Law Firm in Nigeria - Lawyers in Nigeria. Smart entrepreneurs and investors use legal documents to protect their business interests and exposure to financial risks. In this article, I outline 10 important business documents (agreements) you and your business should have and why you should have them. These legal documents need to be well thought out and well drafted. Business partners, co-investors, contractors, and employees will have access to your company’s confidential information. Your confidential information can be anything from your business plan, baseline survey data, financial records, marketing plan, trade secrets, client/customer list, etc. You should require them to sign a Confidentiality and Non-Disclosure Agreement which is a binding and enforceable defense to protecting your business information that should remain private. A good Confidentiality Agreement prevents the other side from stealing or using your ideas, lays out the confidentiality obligations, the exclusions from the confidentiality (e.g information already in the public domain), how long the confidentiality obligation lasts, limitations on the use of the information, and the right of the disclosing party to seek injunctive relief to stop the other side from disclosing the information, and the right to obtain monetary damages when such information is divulged to an unauthorized 3rd party. Depending on your kind of business, you should have Supplier Agreement for the product you are selling or Services Contract for the professional services you provide in standard form. This is a very important agreement that should detail bespoke terms and conditions, warranties (if any), fees and charges, and limit your responsibilities and legal liabilities. You want to avoid misunderstandings and limit the liabilities for damages caused by your goods and services. A business plan may not be a legal document, but it is required when you decide to access credit or raise capital from financial houses, angel investors or venture capitalists. 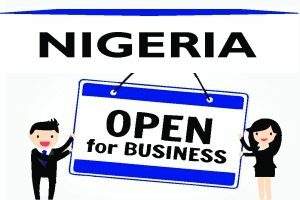 Your business plan should provide clarity on your company profile; board management; corporate governance model; compliance to licensing and permits; health, workplace and environment safety; insurance; intellectual property; business idea; competitive and market opportunity; financials and execution strategy. Whether you are just starting up, running a business, or looking to establish a business with your business partner(s) or co-shareholder(s); what you need is a Partnership or Shareholders’ Agreement in writing. It does not really matter whether your partner/co-shareholder is your spouse, best friend or sibling. You will not always agree on everything all the time. Having a well-structured agreement in place is an effective tool for having a friction-free business and nipping in the bud possible conflicts of interest and unforeseeable problems. Your partnership agreement should detail the ownership and management model; the profit distribution ratio; how decisions are to be made; what happens when one party wants to withdraw; how disputes are to be resolved i.e. whether partners will have to seek mediation or arbitration or will have to commence a court proceeding. You should also have a non-compete clause to protect a partner from leaving the business and setting up his own, and be taking away your existing customers. 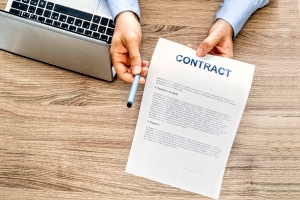 One of the best ways to protect your business from legal liability and misunderstanding is to have an enforceable employment contract with your employees. You should have an employment contract that is in sync with the Nigerian Labour Act, setting out: the employees’ wage, working hours, rest hours, sick leave and holidays, safety and welfare, redundancy and termination of employment. Employment Agreement is an important legal document you want to use to stop certain new employees from leaving your business too soon and going to work for a competitor. A Memorandum of Understanding expresses the common intentions of the parties and line of actions to be taken pending the signing of a legally binding agreement by the parties. It documents any important conversations you have with potential partners, suppliers, contractors and others involved in the business. MOUs are great ways to lay out the terms of a project or relationship in writing. Nigeria’s Companies and Allied Matters Act require all companies to draw-up and file MEMART with the Corporate Affairs Commission as a precondition to incorporation. MEMART define your business’ objects, ownership and share capital structure, type of liability of members, corporate governance model, etc. Every public company is to compulsorily hold Statutory General Meetings (SGM) within six (6) months after incorporation in line with the provisions of the Companies and Allied Matters Act. The directors of the company are to forward a certified copy of the Statutory Report to every member of the company within 21 days before the SGM. A Statutory Report shall detail the shares allotted, the exhibits of receipts from shares and debentures and other sources, cash payment details, names, addresses and descriptions of the directors, auditors, managers, and secretary of the company; etc. a copy of the Statutory Report is to be delivered to the Corporate Affairs Commission for registration. Failure to hold an SGM is a ground for the compulsory winding-up of the company. By having an Independent Contractor Agreement in place, you are defining and classifying the relationship between you and your staff or even outsourcing them. This a strategic tool to cutting cost and getting specific expertise under a flexible arrangement. Under this agreement, you can effectively remove your legal responsibilities and liabilities for workers’ compensation, contributory pension scheme, mandatory insurance cover, PAYE taxes, and other employees’ benefits. Being a smart entrepreneur or investor entails being able to protect your business interests against financial risks and legal liabilities. Legal documents are your sure bets to expanding your rights and limiting your responsibilities and legal obligations. Don’t wait until you are faced with an ugly situation. The legal documents outlined above are vital to ensuring you and your business are protected. Remember, the legal documents have to be well thought-out and well-drafted. It is strongly recommended that you obtain professional help from a business lawyer. A business lawyer can help you understand your options and make the best decisions about the complexities of legal processes concerning your business. For case review of your business’ legal needs, schedule consultation at – Telephone: +2348187019206, 08039795959 | Email: edoabasi.udo@lexartifexllp.com | Website: www.lexartifexllp.com. EDOABASI UDO is a Business Lawyer and Transaction Advisor at Lex Artifex, LLP. The permission given to freely copy this article is only on the condition that BARR. EDOABASI UDO is referenced and duly acknowledged as the Author using the following format: “This article was written by Barr. EdoAbasi Udo. View the original article at http://lexartifexllp.com/business-documents/”. Note that any copyright infringement shall be punishable under applicable law.